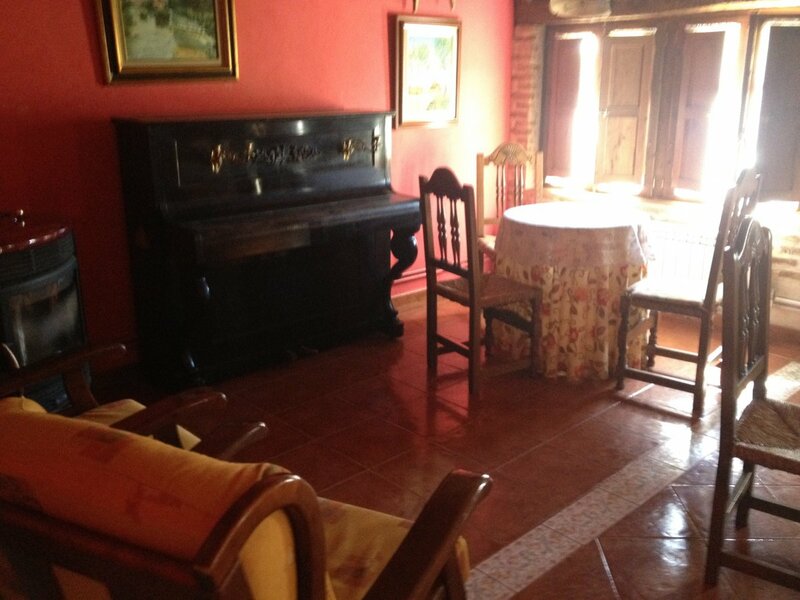 This is a very welcoming private albergue with a restaurant and country house. Food is available throughout the day, a dinner is 9€ and breakfast is 2.7€. 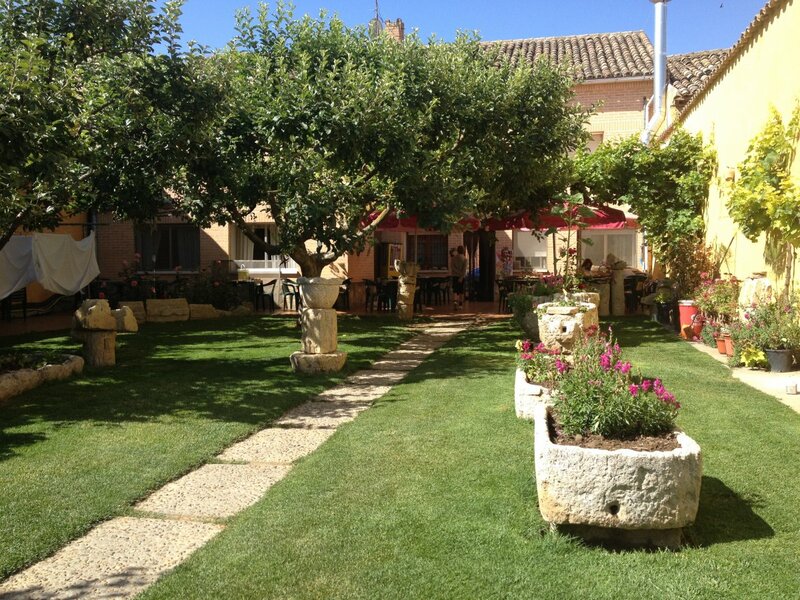 It also has a pool, large green lawn for relaxing, and some of the most genuine hospitality you will find. Eduardo and family will treat you well. Double rooms are also available in a brand new and very comfortable hotel run by the family. 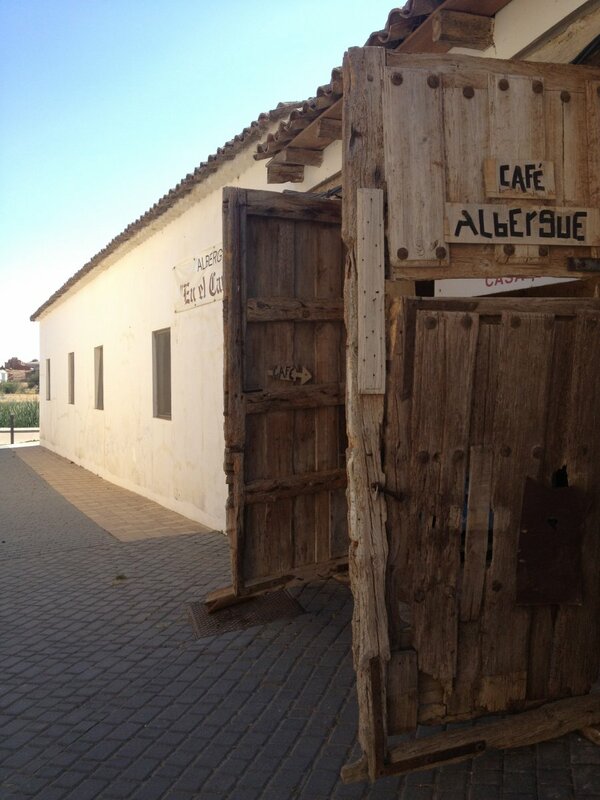 Albergue En El Camino is open now. The guide says May but it is open now. March 24th. Stay here or in the family Casa Rural next door. The best fish so far! I love this family. Everything you hear is true. It was a destination for me and I felt loved and strengthened here. Stay! Welcoming and chock full of art. Rooms a little cramped. Hot showers. Delicious communal dinner. Giant café con leche early with almond cake for breakfast. Entire staff sweet. Pretty busy place. 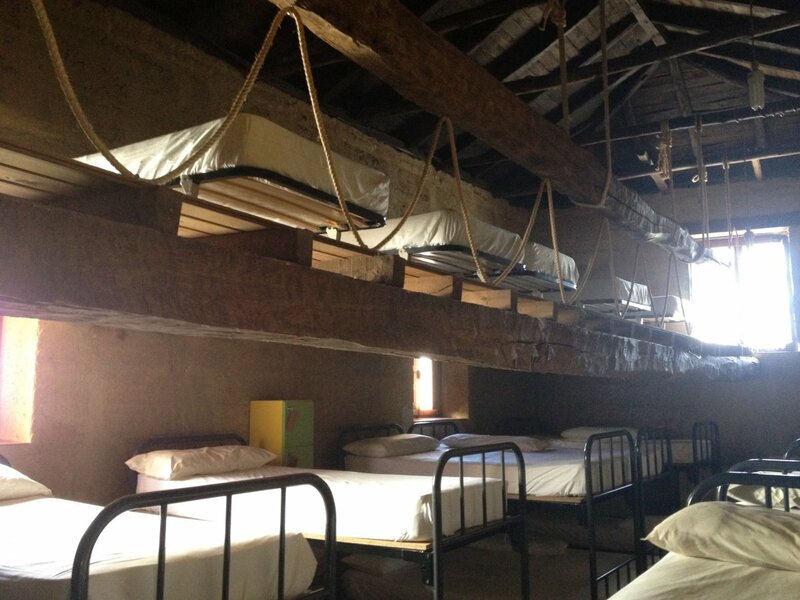 Main dorm a bit cramped but beds were good. No pillowcase though. No wifi in dorm area. Great lawn area (minus the flies and spiders)! Dinner was great (and required since there is no kitchen).